It was 13 years ago, that Shah Rukh Khan, Preity Zinta and Saif Ali Khan created magic on the silver screen with Kal Ho Na Ho. Be it Kanta ben’s exaggeration over Aman Rohit’s bromance or Naina Rohit's romance, the movie has made us laugh and cry for many a times. No matter who you are, the last scene of the movie makes you very emotional. From its iconic dialogues, to perfect music and amazing star cast, this is one of the best movie made till date. 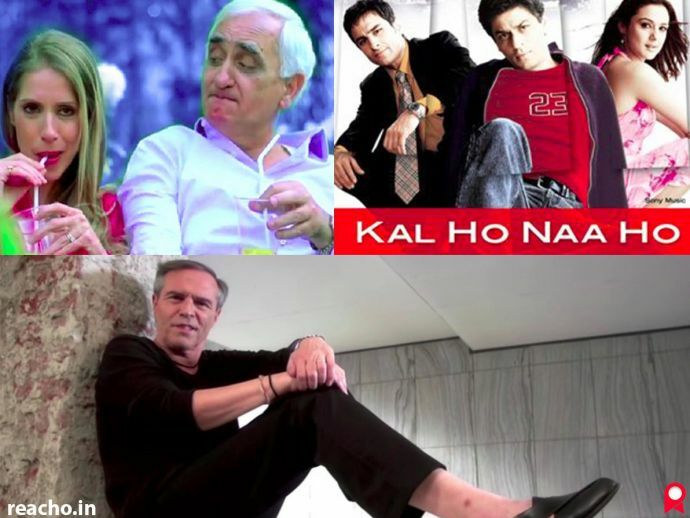 On december 8, 2015, Michael Stainer (Former German Ambassador to India), wife Eliese and Salman Khurshid (Former External Minister of India) recreated the title track of Kal Ho Na Ho. In the Video, German Ambassador Michael Steiner was Shah Rukh Khan, with his wife Eliese in Preity Zinta’s role and Saif Ali Khan, the third face in the ‘love triangle’ none other than India’s former External Affairs minister, the Salman Khurshid. Let’s take a trip down the memory lane with this video and remember the soulful music.